These days, people spend twice as much time online than they did a decade ago. It’s not that we no longer value the importance of face-to-face communication, but there’s no denying how technology has helped us relay information more efficiently and effectively than ever before.With the internet and various channels and devices used as a means for online advertising, it’s easy to get lost in the competitive world of digital marketing. Because of this, acquiring and retaining customers prove to be a challenge for many companies. This is why creating the right digital marketing strategy is an essential component for success. From email marketing to online brochures, web branding to social media marketing, there are various assets and strategies that fall under the category of digital marketing. But what exactly is digital marketing? And how important is it in today’s age? In simple terms, digital marketing is defined to be any form of marketing services or products that utilize electronic channels and devices. This term was first popularized in the early 2000s, due to the gradual advancement of technology. Digital marketing is ideal for any type of marketing in any industry it is in. 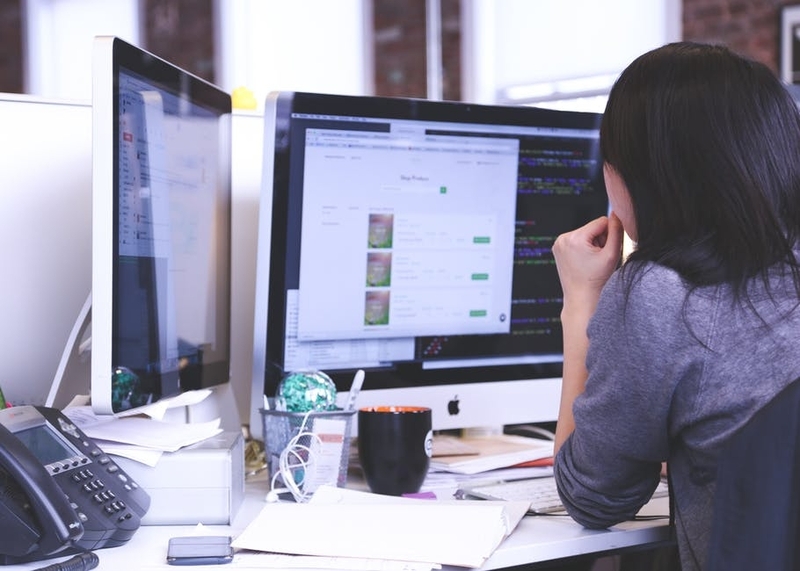 Regardless of what your company offers, digital marketing still involves building brand awareness online, identifying the needs of customers, and developing useful and relevant online content. Back in the day, print media, such as billboards, advertising brochures, and event flyers were all the rage in the marketing world. It served as a great way for companies to reach out to their audience through visual print ads. In fact, most companies would invest millions of dollars just to come up with the best commercial ad there is. Unfortunately (or maybe fortunately), this type of marketing isn’t as powerful as it was decades ago. With the wide use of electronic devices these days, do you think people would still pay attention to roadside billboard ads? With the average person spending around eleven hours on an electronic device every day, it’s safe to say that the digital world has become our second home. But it may come to your surprise to know that digital marketing may fall under the spectrum of both online and offline marketing, just as long as it involves the use of electronic devices. While we’re all familiar with the different kinds of internet-based digital marketing channels, such as websites and blogs; let us discuss the wonders brought by digital offline marketing. You may also see marketing flow charts. You may be familiar with the car dealer ads you hear from the radio, or probably the witty television commercials you’re forced to watch during the Superbowl, all these constitute to offline marketing because of how it does not use the internet to relay product or service information. And, while we may have mentioned the slow phaseout of physical billboard ads, we never mentioned how it’s updated version, the electronic billboard, is taking the marketing world by storm. You may also see marketing presentations. Let’s take the electronic billboards displayed all over New York’s Times Square for example. 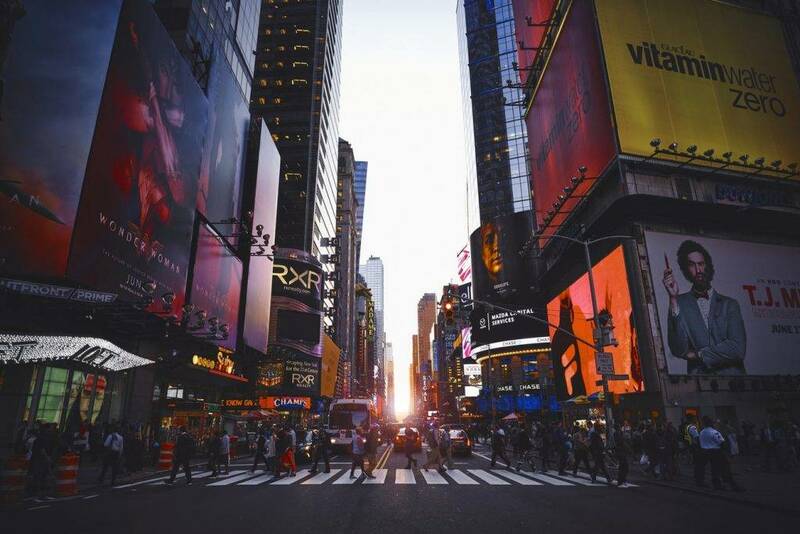 With over 330,000 locals and visitors crossing the area each day, Times Square has become a marketing haven for most companies. But the competition in the area is extremely fierce as well, turning it into a battle of who can make the most captivating ad of them all. That being said, it’s only right to create a marketing plan with thoroughly-developed strategies to ensure positive marketing impact. In this case, the aim is to reach a higher rank (or possibly the highest rank) of a certain keyword in search engine result pages for the purpose of increasing website traffic. This is everything from the design of your pages to the interlinks added. You may also see marketing questionnaire examples. From the term itself, this involves the use of various social media networks as a platform for marketing. Social media marketing allows marketers to track their progress and success in different fields, as well as manage online marketing campaigns for better social media exposure. Such practice is proven to be a smart way for marketers to successfully connect with their target audience, especially those who belong to the younger age group. You may also see internet marketing. This refers to a strategic marketing approach that centers on creating valuable content to attract profitable customers. It isn’t just about blog posts and social media videos, as good content marketing revolves around clever storytelling. It shows how much you care about your customers by providing high-quality and relevant content that is of value to them. When this happens, it can slowly lead to consumer loyalty and consistency. The concept of PPC is pretty simple. Here, publishers are paid by advertisers for every time their ad is clicked. Not only does this give you the opportunity to market your brand elsewhere, but it also helps drive traffic to your website. However, such method can also be quite tricky, as clicks don’t always guarantee sales. But when it does bring you good fortune, then you can expect a hefty profit in your favor. You may also see marketing styles. For marketers that wish to communicate with their target audience directly, email marketing serves as the most efficient method. This makes it easier for companies to announce sales, discounts, and product or service releases that consumers may want to avail of. Oftentimes, curiosity will eventually lead customers to the company’s website with a simple click of a button. 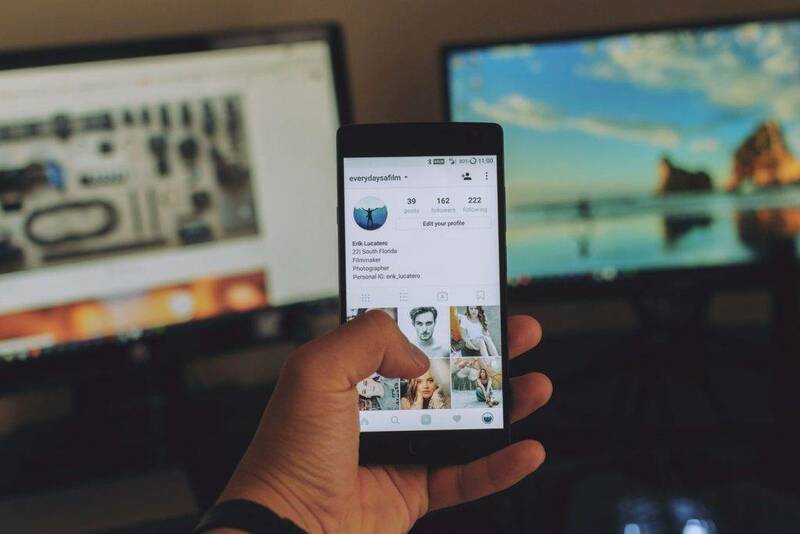 You may have noticed how YouTubers and other social media influencers constantly promote certain brands in their videos, profiles or websites. This is a type of digital marketing that allows certain entities to receive a commission for every product or service they promote on their pages. This is an effective means of advertising, as it makes it easier for marketers to reach larger and more diverse audiences in a relatable and believable manner. You may also see marketing research questionnaire. This is similar to the traditional type of PR, except that it is executed in the online space. This is a practice of developing an online coverage of the company through publications, blogs, and websites. One good example of a successful online marketing trend is Coca-Cola’s #ShareaCoke campaign. As part of their marketing strategy, consumers are encouraged to post photos, videos or stories on social media that are in line with the theme of the campaign. Since the company designed specially-made Coke bottles to celebrate the campaign, consumers have the option of sharing their own perceptions of ‘Share a Coke’, whether it’s with a friend, a partner or a family member. As a result, the campaign brought in over a half a million tagged photos with the #ShareaCoke hashtag, along with 25 new Facebook followers from all over the globe. You may also see marketing goals. For years, our society has faced various social and political issues that have brutally divided us. In an attempt to set aside such issues and unite mankind, Heineken’s 2017 ‘Open Your World’ campaign brought together individuals from opposing sides of the spectrum. There were feminists and anti-feminists, climate change activists and deniers, along with the pro and anti-transsexuals. This real-life social experiment sheds light on the different issues that have negatively affected our society despite living in a supposed “free” and “open-minded” generation. You may also see marketing checklists. The ad focuses on the discussions shared by these individuals over a bottle of Heneiken. By openly discussing their differences, audiences are given a glimpse of what goes on inside the heads of those who possess contradicting beliefs. After its debut on Facebook, the ad was enthusiastically accepted by viewers, gaining around 3 million views just eight days after its release, along with over 50,000 shares with the hashtag #OpenYourWorld. You may also see startup marketing plans. Commercial ads that are capitalized over controversial political statements can be a hit-or-miss in the industry. However, Airbnb did something that addressed an important issue that continues to haunt foreign immigrants and tourists by creating a timely ad that racked up a staggering 5 million views within its first month of release on YouTube, as well as 100,000 views on Instagram. You may also see marketing segmentations. After U.S. President Donald Trump announced a travel ban, Airbnb released one of the most unforgettable ads of all time that aired on television during the Superbowl for millions of people to see. Without making a direct link to the recent political policy, the timing of its release indicated that Airbnb was voicing out their stand on the said issue. The #WeAccept campaign immediately granted Airbnb nationwide, or even worldwide, recognition for creating an ad that focuses on acceptance, regardless of one’s social background and status. You may also see retail marketing. Admit it, we’re all suckers for a good cause, especially when it touches our soft spot for animals. While there are many animal shelters that care for abandoned and abused animals, the alarming rise of such has caused these shelters to reach its maximum capacity. In addition to that, shelters are running out of provisions and supplies to cater to these animals. You may also see marketing tips. In an attempt to raise awareness and gain recognition, Dallas Pets Alive started an interesting digital marketing campaign that has brought in extraordinary results. Instead of starting their own hashtag trend, the team decided to jump on the bandwagon of existing trends. The organization began naming canines after trending online topics, such as #JustinBieberSucks and #KanyeMeltdown. In doing so, the organization successfully gained enough publicity to boost the number of animal adoptions across the country.This cheeky marketing campaign is definitely something other marketers can learn from. As a gimmick to launch the film Straight Outta Compton, Beats Headphones launched a web app that gave users the chance to make their own version of a ‘Straight Outta’ meme. Since this campaign targeted individuals of a particular demographic, much to their favor, the app quickly became a hit with users bragging about their roots and upbringings from places like Los Angeles, Brooklyn, and Oakland. You may also see marketing trends. At the end of the day, digital marketing plans are all about creating a solid connection with your audience. You could be selling the simplest or the most boring product or service known to mankind, but if you know how to introduce it uniquely and creatively to your audience, then you’re sure to generate positive results.